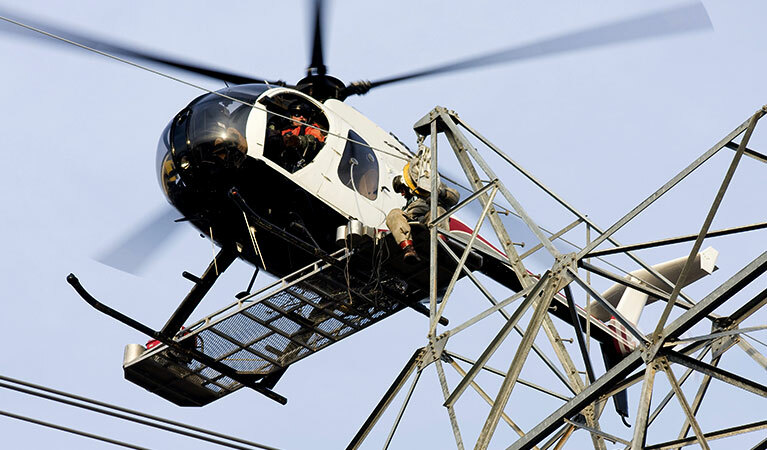 Learn more about how helicopters benefit can the utility industry in Georgia. FairLifts works with a highly-qualified network of helicopter affiliates to provide efficient and cost-effective Georgia transmission line construction solutions in remote and inaccessible areas of the state with limited environmental impact. The services provided include structure and pole placement, transport of vehicles, equipment, concrete and matting, structure framing, including changing cross-arms or davit arms and installing x-braces, knee braces and v-braces, hanging insulators and stringing blocks, pulling sock line, hard line, optical ground wire (OPGW) and shield wire, installing spacers, marker balls, bird discouragers and anti-galloping devices, and post-construction inspection services. Georgia is a leading economic hub with 17 Fortune 500 companies and 26 Fortune 1000 companies headquartered in the state, including Home Depot, UPS, Coca-Cola, TSYS, Delta Air Lines, Aflac, Southern Company, Anthem Inc., Honeywell, and SunTrust Banks. Also, Hartsfield-Jackson Atlanta International Airport is the world's busiest airport, and the Port of Savannah is the fourth largest seaport and fastest-growing container seaport in North America, with imports and exports exceeding 2.3 million TEUs per year. Atlanta, considered a world city in terms of the role it plays in in the global economic system, has had significant real estate, construction, service, logistics and the communications and film industry growth in the past few decades. FairLifts, a global leader in scheduling transmission line construction services, works with an expert network of highly-qualified professional operators to provide first-rate transmission line construction solutions in a variety of industries in Georgia. Also, FairLifts arranges a number of additional services, such as work crew and equipment transport to remote or offshore sites, as well as heavy lifts for hardware and machinery. The FairLifts network reserves heavy lift aircraft with lifting capabilities of up to 9,000 lbs, meeting the lifting requirements of all types of construction projects or lift operations. The services provided ensure safety and cost-efficiency and meet strict project deadlines. Lift services range from light to heavy and aerial crane services for the transport and placement of large items with minimal environmental impact. 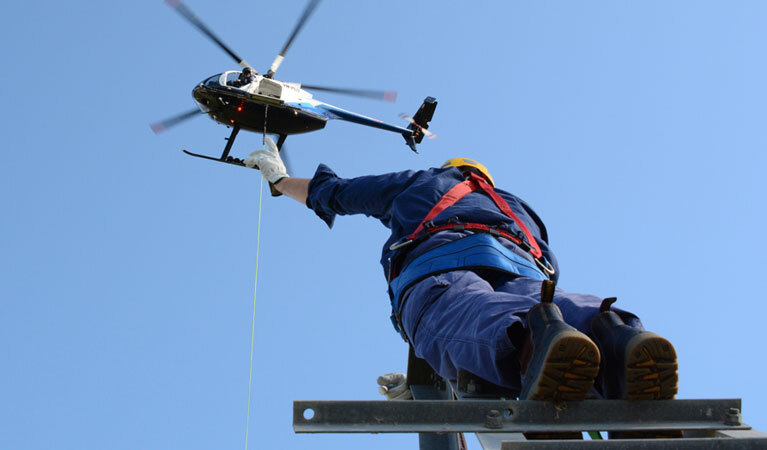 Helicopter services are used to facilitate wire stringing as well all activities associated with the installation of primary conductors onto the transmission line structures, including the installation of conductors, ground wire, insulators, stringing sheaves, rollers or travelers, vibration dampeners, weights, suspension and dead-end hardware assemblies for the full extension of the project. 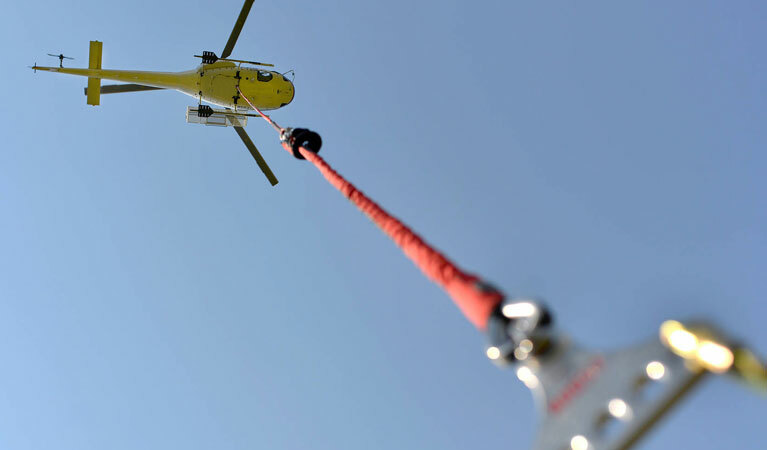 An extensive helicopter services network offers experienced utility pole installation, enabling crews to overcome rugged terrains with minimal environmental impact. Since many composite poles have a greater strength/weight ratio than traditional wood poles, helicopter lifts provide the necessary strength to install poles in difficult to access areas. The FairLifts network ensures comprehensive ROW and site inspection of power transmission lines through infrared thermographic inspection of power lines, which detects transmission line anomalies immediately and efficiently. Other inspection services include corona measurement with new generation technology to detect corona interference in high-voltage transmission lines. FairLifts can deliver access to helicopters for qualified logistical transport at all stages of the transmission line construction project, including delivery of equipment and materials, driving caissons, steel placement and tower erection. An expert crew of pilots is on hand to provide expert guidance and transport in remote or inaccessible areas in Georgia. Experts are standing by to get you a fast quote for your transmission line job in Georgia! The FaiLifts team of agents is on hand 24/7 to provide all the information you need to book Georgia transmission line construction services. 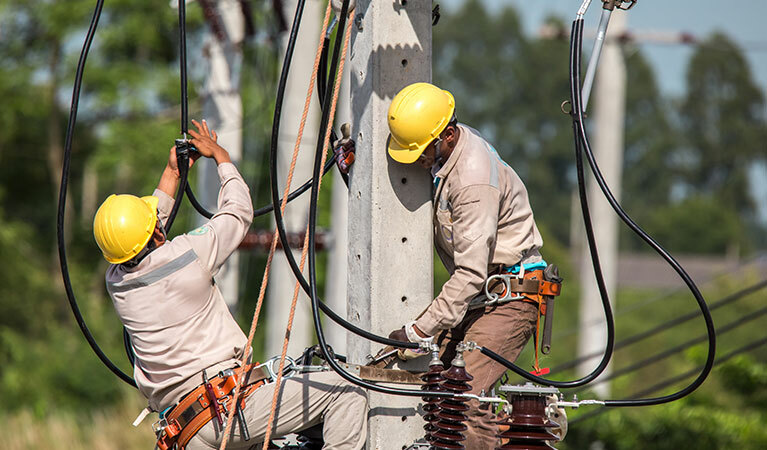 A global network of affiliates provide safe, reliable and cost-efficient solutions for all transmission line construction needs, and ensure timely and precision delivery of our expert services.